CANTON, Ohio, Sept. 21, 2018 /PRNewswire/ -- TimkenSteel Corporation (NYSE: TMST, timkensteel.com) has named Kristopher R. Westbrooks as executive vice president and chief financial officer to succeed current CFO Christopher J. Holding, who is leaving the company, effective September 23, 2018. Westbrooks will join the company in this new role on September 24, 2018. Westbrooks was most recently with A. Schulman, Inc., where he served as vice president, chief accounting officer and corporate controller responsible for leading the integration of A. Schulman's recently completed merger with LyondellBasell. "Kris brings deep financial and accounting experience to TimkenSteel and will help accelerate our efforts to generate more profitable growth and drive greater shareholder value," said Tim Timken, chairman, CEO and president. "I'd like to extend my thanks to Chris Holding for his contributions in launching TimkenSteel as a public company and building a strong finance team here." Westbrooks had been with A. Schulman, an international supplier of high-performance plastic formulations, resins, and services, since 2011. Prior to joining A. Schulman, he served as global accounting consultation manager and senior financial analyst for The Procter & Gamble Company, a multinational manufacturer of consumer goods. 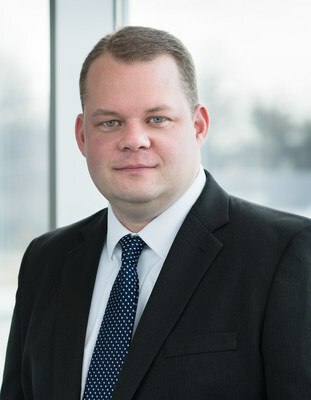 He began his career at PwC after earning his bachelor's and master's degrees in accountancy at Miami University. TimkenSteel (NYSE:TMST, timkensteel.com) creates tailored steel products and services for demanding applications, helping customers push the bounds of what's possible within their industries. The company reaches around the world in its customers' products and leads North America in large alloy steel bars (up to 16 inches in diameter) and seamless mechanical tubing made of its special bar quality (SBQ) steel, as well as supply chain and steel services. TimkenSteel operates warehouses and sales offices in five countries and has made its steel in America for more than 100 years. The company posted sales of $1.3 billion in 2017. Follow us on Twitter @TimkenSteel and on Instagram. This news release includes "forward-looking" statements within the meaning of the federal securities laws. You can generally identify the company's forward-looking statements by words such as "anticipate," "believe," "could," "estimate," "expect," "forecast," "outlook," "intend," "may," "possible," "potential," "predict," "project," "seek," "target," "could," "may," "should" or "would" or other similar words, phrases or expressions that convey the uncertainty of future events or outcomes. The company cautions readers that actual results may differ materially from those expressed or implied in forward-looking statements made by or on behalf of the company due to a variety of factors, such as: deterioration in world economic conditions, or in economic conditions in any of the geographic regions in which the company conducts business, including additional adverse effects from global economic slowdown, terrorism or hostilities, political risks associated with the potential instability of governments and legal systems in countries in which the company or its customers conduct business, and changes in currency valuations; the effects of fluctuations in customer demand on sales, product mix and prices in the industries in which the company operates, including the ability of the company to respond to rapid changes in customer demand, the effects of customer bankruptcies or liquidations, the impact of changes in industrial business cycles, and whether conditions of fair trade exist in U.S. markets; competitive factors, including changes in market penetration, increasing price competition by existing or new foreign and domestic competitors, the introduction of new products by existing and new competitors, and new technology that may impact the way the company's products are sold or distributed; changes in operating costs, including the effect of changes in the company's manufacturing processes, changes in costs associated with varying levels of operations and manufacturing capacity, availability of raw materials and energy, the company's ability to mitigate the impact of fluctuations in raw materials and energy costs and the effectiveness of its surcharge mechanism, changes in the expected costs associated with product warranty claims, changes resulting from inventory management, cost reduction initiatives and different levels of customer demands, the effects of unplanned work stoppages, and changes in the cost of labor and benefits; the success of the company's operating plans, announced programs, initiatives and capital investments (including the jumbo bloom vertical caster and advanced quench and-temper facility), the ability to integrate acquired companies, the ability of acquired companies to achieve satisfactory operating results, including results being accretive to earnings, and the company's ability to maintain appropriate relations with unions that represent its associates in certain locations in order to avoid disruptions of business; unanticipated litigation, claims or assessments, including claims or problems related to intellectual property, product liability or warranty, and environmental issues and taxes, among other matters; the availability of financing and interest rates, which affect the company's cost of funds and/or ability to raise capital, the company's pension obligations and investment performance, and/or customer demand and the ability of customers to obtain financing to purchase the company's products or equipment that contain its products; the amount of any dividend declared by the company's Board of Directors on the company's common shares; and the overall impact of mark-to-market accounting. Additional risks relating to the company's business, the industries in which the company operates or the company's common shares may be described from time to time in the company's filings with the SEC. All of these risk factors are difficult to predict, are subject to material uncertainties that may affect actual results and may be beyond the company's control. Readers are cautioned that it is not possible to predict or identify all of the risks, uncertainties and other factors that may affect future results and that the above list should not be considered to be a complete list. Except as required by the federal securities laws, the company undertakes no obligation to publicly update or revise any forward-looking statement, whether as a result of new information, future events or otherwise.